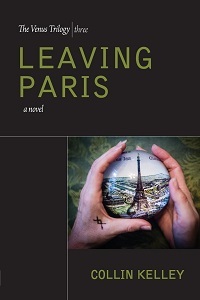 It’s 2005, about 10 years after the original book, and the ever-acerbic (and menopausal) Diane Jacobs struggles with both marital dissolution and caretaking her deteriorating father over in America, while over in Paris grande dame Irene Laureux runs the Editions Resolvere publishing house along with heir-apparent Martin, whose plans for production expansion include e-books, which must be intended to be amusingly quaint to current-day readers. (“Who wants to read books on a tiny screen?” asks Euan McEvoy, one of Martin’s seemingly countless ex-boyfriends. I joke, I joke.) Also, Martin’s romantic relationship with Christian Kigali has strengthened, and Christian worries for his father, Olivier, who is a Muslim convert (making his son’s name ironic) and a man with a serious secret life. Looming behind such personal incidentals is the primary political situation in France, which involves tension between the right-wing Front National, spearheaded by the conniving and bitter Michel Arnaud, and unrest in Montfermeil, an immigrant-heavy banlieue. Arnaud seems resolved to rout out ethnic and religious undesirables at all costs, but his machinations face investigative threats and the Shakespearean inevitability of “the truth will out.” Of course, Irene, Martin and Christian become embroiled in what explodes from this societal powder keg. During an episode of this warping of time and space, former-lover Paul, like Dante’s Virgil, guides Martin through what seems to be 17th-century Versailles and delivers him to a high-school boyfriend named Peter Daris, who shows Martin that “different choices” could have kept them together, to the point of aging happily as a married couple with a daughter. Then, as if ending a domino fall from lover to lover, Martin encounters David McClaren, the sexually conflicted and highly reluctant former love interest of Martin’s back in Conquering Venus. Nowadays David is in even deeper sexual denial and, worse, married to a woman and utterly exploding from repression. (A quite disturbing scene involving a homophobic “redneck,” an intoxicated David and David’s belt illustrates this perfectly.) An interactive vision of Martin and David as a happy couple shows “the way it was supposed to be,” to use David’s tempting words. Apparently, Martin has a real choice to make. What about his boyfriend Christian? Could alteration of his past course be much-needed salvation for tormented David? What is the true purpose of this magical in-between place (or non-place)? Collin’s ability to construct three weighty novels on the foundation of the comparatively simpler ideas of Conquering Venus is impressive. He cared enough about his characters and their potential to carry them over several years and through a lot of extraordinary circumstances, to say the least. He excels at threading together different plotlines and maintaining readers’ care for them. Even dastardly Arnaud, whose role could understandably be snubbed as a ho-hum caricature of an ultra-conservative fanatic (not much unlike David’s disapproving father, the “right-wing freak” and, of course, a gun lover), is a welcome familiar as far as dramatic conflict and sociopolitical-intrigue stories’ need for relentless Inspector Javerts are concerned. In plotting Leaving Paris Collin wasn’t even finished with Irene’s murdered husband, Jean-Louis, nor his fateful lover, Frederick Dubois, who was the object of pursuit in the second Venus book, Remain in Light. Fans of the Venus books will be pleased to find that not only does the mystery surrounding the death of Jean-Louis back in the late 1960s factor yet again, gaining more contextual importance, but something surprising is revealed about the true identity of “gangster” Andre Sarde. Even Julie Lacombe, who was mentioned at the beginning of this review, has more to her than meets the eye. Put it this way: Leaving Paris is the archenemy of loose ends.